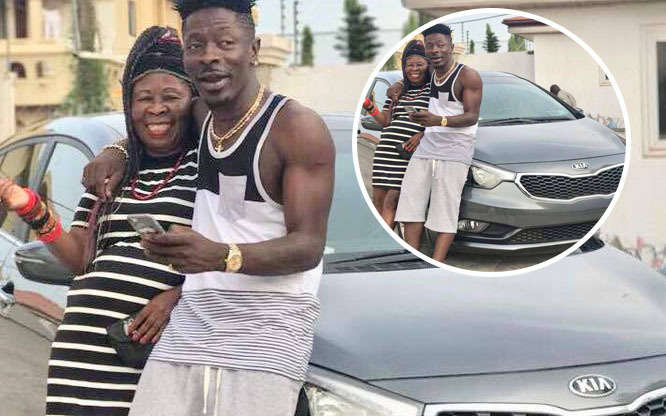 Shatta Wale has put smiles on his mother’s face after he bought her a brand new Kia Optima. The woman who gave birth to the ‘Champion’ of our time is known as Elsie Evelyn Avemegah and we can see her beaming with smiles as she stands with his son. Shatta Wale who looks fulfilled added that he would soon buy her a mansion.